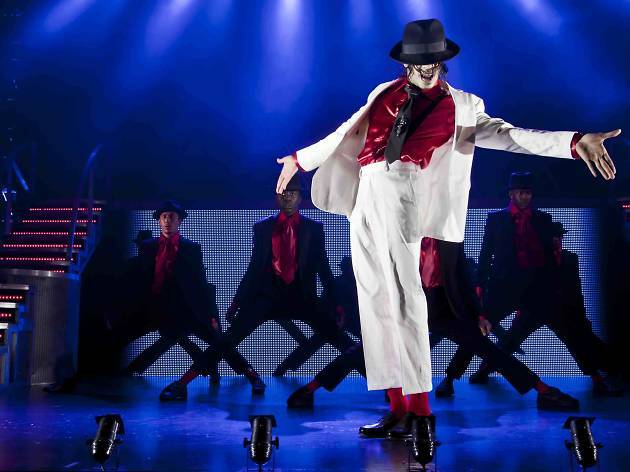 "Michael, even in his absence, continues to awaken a passion for life and music in so many"
A tribute to the late, great Michael Jackson, Thriller Live – the debut show at the newly opened Parisian Macao – has already wowed sell-out crowds over its four-week run. Direct from London's famed Wesst Ed, we sit down with starts Britt Quentin and Cleo Higgins to talk about the show, Michael's legacy, and what it's like to continue the legacy of an artist's artist. How do you approach the challenge of filling the shoes of a legend? And how does it feel to contribute to keeping MJ's legacy going? Quentin: My approach to filling the shoes of a legend is to first remind myself that I will never be Michael Jackson! There will never be another. What I try to do is connect with the magic he was able to bring to his music and his performing. Then I study him and focus on what I can try to recreate both vocally and physically. Higgins: Michael Jackson has been my most influential music artist since I was a baby so it is only natural to me to have some reflection of him in my performance art. Because of this I fit in well with this production where being myself gels so easily into MJ's works respectfully. I do not intend ever to fill his shoes as I believe no person can. I continue however his legacy as his student in some form and carry the same messages he did in his quest to promote love, kindness and taking care of the world through my own music. I am very proud I can still achieve this in his absence. What is your favourite song to perform in the show, and why? Q: My favorite song to perform changes all the time! Today – these days – it's Human Nature. It’s a beautiful song with a great melody that fits my voice really well. H: My favourite song to perform is They Don't Really Care About Us into Earth Song. Saying what you know is right above all at the risk of being shut down or worse by government officials and federal agents is an extremely bold act. I commend Michael for this and appreciate that he dared to be honest and suffered so much yet continued to spread his messages of political distaste and those of help and hope internationally to the masses. During this part of the show, because I connect with the music, Michael and the words, I am all in emotionally. It is hard sometimes not to cry and I definitely end up in tears 80 percent of the time! What sort of obstacles are there in staging a tribute production like this? Q: I think the biggest obstacle in singing this show is trying live up to the perfection that Michael was. Most people who come to see the show are fans of Michael, so we must live up to the perfection! H: As an entertainer and away from the technical side of the production, the obstacles I face are getting it right for the MJ fans. My voice, though a clear yet natural reflection of the man himself, cannot perfectly project the amount of top notes he gives every time he did his "Hoo! Hoo! Hee Hee! Ow!" – you know what I mean! The man was a genius none can really imitate to perfection. We do so many shows with little space to recover. I hope when I sing to each audience that I deliver what they want to feel and hear, so looking after my instrument is a must as is expressing my love of the music throughout. If you don't love the music the audience can read that. I genuinely love it and so far, I am humbled to say, I've only had beautiful feedback from them. Who is the show for? Super fans or novice MJ admirers? Q: The show truly works for everyone. We cover quite a few decades of Michael’s music, so people of all ages seem to enjoy it. Even people who aren’t super fans usually enjoy the show because it's very entertaining. H: The show is aimed at every music lover and those who seek great entertainment! Be it "super fans" or novice, I have performed in this show for three years to a range of audience members: the elderly, many children, babies even! The fact that they get up and groove to the music, cheer and scream just shows how Michael, even in his absence, continues to awaken a passion for life and music in so many.